Reactions were mixed, but not overly enthusiastic about the new Lightning connector released by Apple with the introduction of the iPhone 5. The reaction was less than mixed when it was found that the Lightning 8-pin plug was a “protected” accessory, using a rudimentary authentication chip to enable the transfer for data and manage charging of the device. Naturally, the 8-pin plug to get ripped apart and examined. It was found that the chip was not so secure and all was downhill from there as cheap third-party cables became available at a fraction of the cost of the "real" Lightning cable. Apple is getting ready to brief “approved” third-party vendors at the MFi Technology Summit for purposes of making accessories that will work with the new iPhone, iPod and iPad. MFi means, "Made for iPhone/iPod/iPad," and that event begins November 7th in China. Despite that, Belkin is the first to arrive on the scene with a working car-charger for your iPhone 5 ($29.99) and a Charge & Sync Dock ($29.99). The Charge & Sync Dock uses your existing Lightning cable that came with your iPhone, so it is not so much a groundbreaking accessory, it is not a bad looking though. Both are available for pre-order and will ship by November 15th. We placed some pictures of the dock below as well as a video about the car charger, because…they are just so complex. The audio jack also folds out of the way if desired. You will need to use the Lightning cable that came with your iPhone 5. The only downside to this set-up is that you can't easily orient the dock so you can watch videos in landscape orientation. Charge and listen to your music. Whos idea was it for the headphone jack on the bottom? I owned phones like that back in 2005/2006 and I hated it with a passion, hell, I STILL hate it with a passion! Ergonomically speaking it makes sense. Naturally people typically put their phones in their pockets upside down so having the headphone jack on the bottom allows for the user to continue to do things naturally as they would without worrying if they're going to cause damage to the cord of the headphones. With the jack on top you're more likely to cause strain on the cord especially towards the base where it's connected to the phone. Try this out: Put your phone into your pocket upside down. Now pull it out straight out. You should see that your phone is in your hand right side up and ready for use. Putting your phone in your pocket right side up causes you to have to turn your phone around to use it. This is why it makes sense for your headphone jack to be at the bottom. 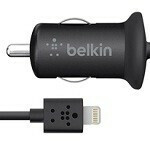 Belkin will also be the first "real" third party manufacturer to be unfairly sued by apple. Count on that. Which is a damn shame since they make pretty decent accessories. Or maybe they have made an contract. I doubt we'll see that. The market will soon be swarmed with accessories in a years time. Belkin is one of the most innovative companies that I've seen. Just take a look how varied their product range is. Belkin is an US company and they have been making Ipod/ Iphone accessories for a long time now. I had a bad experience with one of their routers so I don't trust them much.